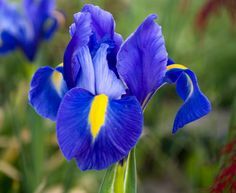 An iris has a dark dot, the pupil, in it. And , it doesn't look like the flower either. It is always great to see an RGB image of the central parts of NGC 7023 that brings out the blue color of it! What I like best about today's APOD (apart from the the fact that it shows the blue color of the Iris Nebula) is that it dramatically demonstrates the dark dust right next to the flames of blue. Indeed, that is where stars are born; where there is a lot of concentrated dark dust. 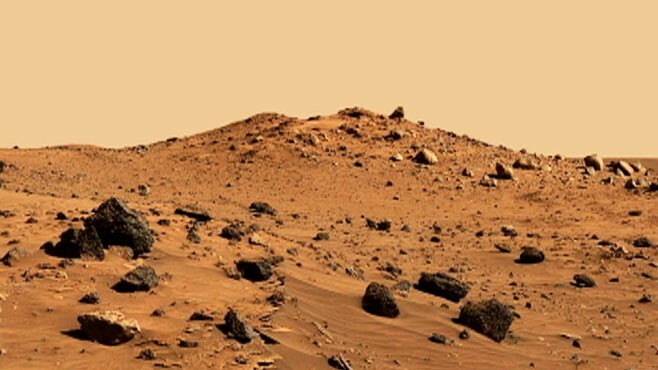 Often the dust is shaped like a long dark tube, with star formation at one end of it. NGC 6726/6727 and the Cocoon Nebula are good examples. The Iris Nebula, too, glows blue at one end of a tube of brownish darkness. The Iris Nebula. Photo: Tony Hallas. Central filaments of the reflection nebula glow with a faint reddish photoluminesence as some dust grains effectively convert the star's invisible ultraviolet radiation to visible red light. Yes, central filaments of the Iris Nebula are reddish due to photoluminescence - ionization of atoms leading to the release of visible-light photons - but neither today's APOD nor the link provided by the caption shows the reddish color of the central filaments. Instead, the link takes us to a site discussing the red color of the solid dust particles in the northwestern part of NGC 7023. I can't believe that reddish dust (which may be Mars-colored) would give central filaments of a bright blue reflection nebula a rose-colored tinge. Or, rather, it might be just possible. This Adam Block image shows Pleiades member Merope and its two nebulas - one small bright one very near the star, and one large, curved, and partly somewhat reddish - and the large one almost certainly owes its reddish color to the color of the dust particles. Merope is not a very hot star as B-type stars go - it is spectral type B6 - and it is quite unable to ionize appreciable amounts of hydrogen. As I said, today's APOD doesn't show the reddish central filaments, but they can be seen in the image of the Iris Nebula at right by tony Hallas. 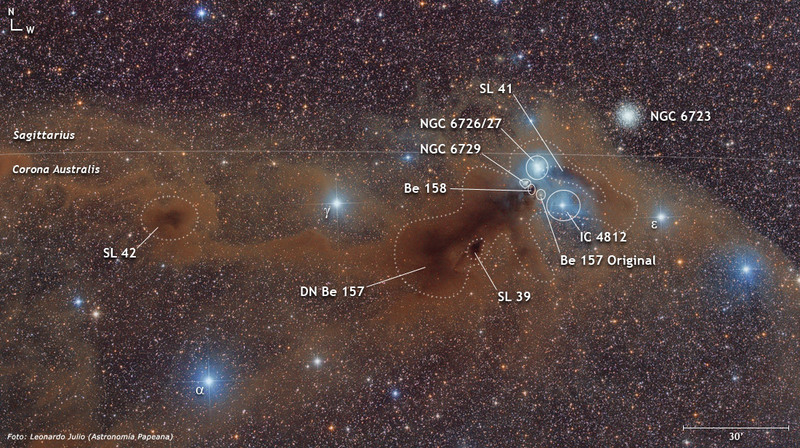 Brian Lula's APOD from 2001 also shows them. I believe that the color is probably caused by the ionization of hydrogen due to the ultraviolet light from the central star. The star, HD 200775, is of spectral class B2V. It is only just hot enough to ionize some hydrogen, which glows rose-colored. But its bright blue light is reflected by dust much farther from the star than the reddish filaments. eye candy wrote: An iris has a dark dot, the pupil, in it. And , it doesn't look like the flower either. I don't know. 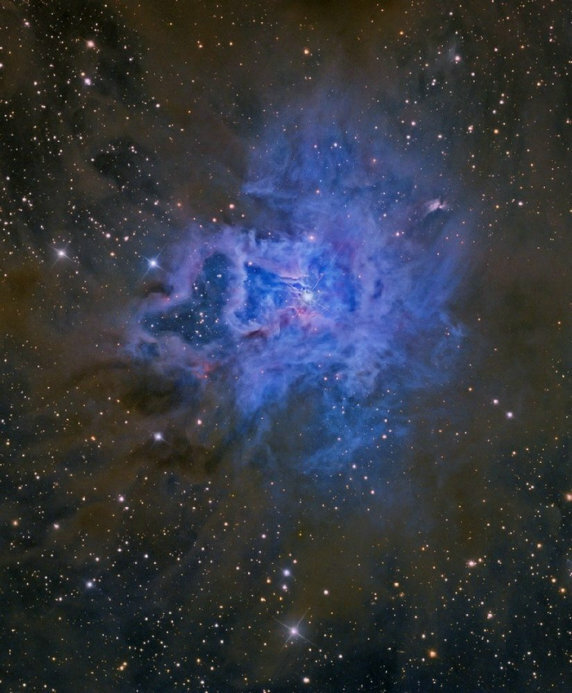 Doesn't the shape and color of the Iris Nebula somewhat resemble a blue iris? eye candy wrote: An iris has a dark dot, the pupil, in it. And :no:, it doesn't look like the flower either. It does look like the flower in a less deep image, or in a telescope eyepiece. Very deep images almost always destroy the illusion of named astronomical objects... the forest tends to be lost for the trees. It's me again... of course I can't stop talking about this blue star and nebula. But right now, I want to solve the problem of the reddish inner filaments of the nebula. To me, HD 200775 (the central star of the Iris Nebula) looks like a very young star. It sits inside a large reflection nebula, and the reflection nebula is connected to a tube of dark nebulosity. It looks like an almost newborn star that has just broken through its stellar cocoon. Moreover, the nebula is very irregularly shaped, as if it had been hit by several sudden outbursts from the star. 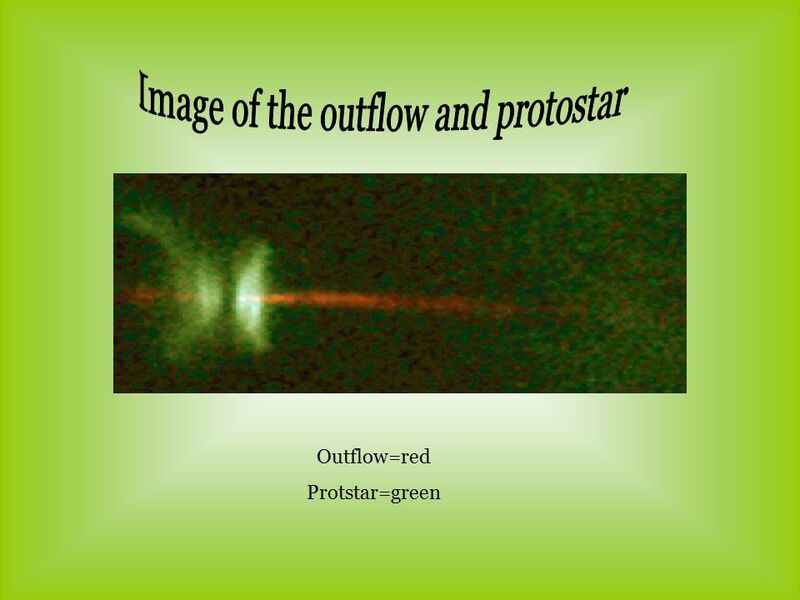 At left is an image of a jet from a protostar. Protostars do have outbursts and energetic jets. HD 200775 is not a protostar by any sort of definition, but according to The Caldwell Objects and How to Observe Them, HD 200775 may have been born only 5,000 - 6,000 years ago. That's something like a minute ago in astronomical terms. So I believe that HD 200775 has had outbursts that have given the Iris Nebula its iris-like shape. I think, for example, that the "double lip" of the nebula was created by two separate short-lived polar jets that pushed the gas away, piling it up in two separate walls to look like an iris petal. But the reddish filaments are right next to what could be the equator of the star. If the star somehow had an outburst from its equator, gas and dust could be violently pushed away until it slammed into thick walls of gas and dust. The force of the collision could be quite enough to photoionize hydrogen and make it glow pink. I think that the Iris Nebula bears witness to the tantrums of stellar babyhood. Mod edit: Please don't post about that directory publicly. I suggest you ask the photographer about it.